Theories of secession relate to a fundamental question of political philosophy: the basis of the state's authority. In his 1991 book Secession: The Morality of Political Divorce From Fort Sumter to Lithuania and Quebec, philosophy professor Allen Buchanan outlined limited rights to secession under certain circumstances, mostly related to oppression by people of other ethnic or racial groups, and especially those previously conquered by other peoples. In the fall of 1994 the Journal of Libertarian Studies published Robert W. McGee's article "Secession Reconsidered". He writes from a libertarian perspective, but holds that secession is justified only if secessionists can create a viable, if minimal, state on contiguous territory. In April 1995 the Ludwig Von Mises Institute sponsored a secession conference. Papers from the conference were later published in the book Secession, State and Liberty by David Gordon. Among articles included were: "The Secession Tradition in America" by Donald Livingston; "The Ethics of Secession" by Scott Boykin; "Nations by Consent: Decomposing the Nation-State" by Murray Rothbard; "Yankee Confederates: New England Secession Movements Prior to the War Between the States" by Thomas DiLorenzo; "Was the Union Army's Invasion of the Confederate States a Lawful Act?" by James Ostrowski. In July 1998 the Rutgers University journal "Society" published papers from a "Symposium on Secession and Nationalism at the Millennium" including the articles "The Western State as Paradigm" by Hans-Herman Hoppe, "Profit Motives in Secession" by Sabrina P. Ramet, "Rights of Secession" by Daniel Kofman, "The Very Idea of Secession" by Donald Livingston and "Secession, Autonomy, & Modernity" by Edward A. Tiryakian. In 2007 the University of South Carolina sponsored a conference called "Secession As an International Phenomenon" which produced a number of papers on the topic. United States President James Buchanan, Fourth Annual Message to Congress on the State of the Union December 3, 1860: "The fact is that our Union rests upon public opinion, and can never be cemented by the blood of its citizens shed in civil war. If it can not live in the affections of the people, it must one day perish. Congress possesses many means of preserving it by conciliation, but the sword was not placed in their hand to preserve it by force." Former President of the United States Thomas Jefferson, in a letter to William H. Crawford, Secretary of War under President James Madison, on June 20, 1816: "In your letter to Fisk, you have fairly stated the alternatives between which we are to choose : 1, licentious commerce and gambling speculations for a few, with eternal war for the many ; or, 2, restricted commerce, peace, and steady occupations for all. If any State in the Union will declare that it prefers separation with the first alternative, to a continuance in union without it, I have no hesitation in saying, 'let us separate'. I would rather the States should withdraw, which are for unlimited commerce and war, and confederate with those alone which are for peace and agriculture." Economic enfranchisement of an economically oppressed class that is regionally concentrated within the scope of a larger national territory. Anarcho-Capitalism: individual liberty to form political associations and private property rights together justify right to secede and to create a "viable political order" with like-minded individuals. Democratic Secessionism: the right of secession, as a variant of the right of self-determination, is vested in a "territorial community" which wishes to secede from "their existing political community"; the group wishing to secede then proceeds to delimit "its" territory by the majority. Communitarian Secessionism: any group with a particular "participation-enhancing" identity, concentrated in a particular territory, which desires to improve its members' political participation has a prima facie right to secede. Cultural Secessionism: any group which was previously in a minority has a right to protect and develop its own culture and distinct national identity through seceding into an independent state. The Secessionism of Threatened Cultures: if a minority culture is threatened within a state that has a majority culture, the minority needs a right to form a state of its own which would protect its culture. "Threat of Anarchy" because smaller and smaller entities may choose to secede until there is chaos, although this is not the true meaning of the political and philosophical concept. Movements that work towards political secession may describe themselves as being autonomy, separatist, independence, self-determination, partition, devolution decentralization, sovereignty, self-governance or decolonization movements instead of, or in addition to, being secession movements. During the 19th century, the single British colony in eastern mainland Australia, New South Wales (NSW) was progressively divided up by the British government as new settlements were formed and spread. Victoria (Vic) in 1851 and Queensland (Qld) in 1859. However, settlers agitated to divide the colonies throughout the later part of the century; particularly in central Queensland (centred in Rockhampton) in the 1860s and 1890s, and in North Queensland (with Bowen as a potential colonial capital) in the 1870s. Other secession (or territorial separation) movements arose and these advocated the secession of New England in northern central New South Wales, Deniliquin in the Riverina district also in NSW, and Mount Gambier in the eastern part of South Australia. Secession movements have surfaced several times in Western Australia (WA), where a 1933 referendum for secession from the Federation of Australia passed with a two-thirds majority. The referendum had to be ratified by the British Parliament, which declined to act, on the grounds that it would contravene the Australian Constitution. The Principality of Hutt River claims to have seceded from Australia in 1970, although its status is not recognised by Australia or any other country. According to a lexicon on nationalist movements across the world, Macau happened to recognise that Principality. Austria successfully seceded from Nazi Germany on April 27, 1945. This took place after seven years of Austria being part of Adolf Hitler's Third Reich due to the Anschluss annexation of Austria into Nazi Germany in March 1938. On August 25, 1830, during the reign of William I, the nationalistic opera La muette de Portici was performed in Brussels. Soon after, the Belgian Revolt occurred, which resulted in the Belgian secession from the Netherlands. In 1825, soon after the Empire of Brazil managed to defeat the Cortes-Gerais and Portugal in a Independence War, the platinean nationalists in Cisplatina declared independence and joined the United Provinces, which led to a stagnated war between both, as they were both weakened, without manpower and fragile politically. The peace treaty accepted Uruguay independence, reasserted the rule of both nations over their land and some important points like free navigation in the Silver River. Three rather disorganized secessionist rebellions happened in Grão-Pará, Bahia and Maranhão, where the people where unhappy with the Empire (these provinces were Portuguese bastions in the Independence War). The Malê Revolt, in Bahia, was an Islamic slave revolt. These three rebellions were bloodily crushed by the Empire of Brazil. The Pernambucan province was one of the most nativist of all, in an amazing series of five revolts (1645–1654, 1710, 1817, 1824, 1848), the province threw the Dutch West India Company to the sea, tried to secede from the Portuguese Empire and from the Brazilian Empire. In the attempts the rebels were crushed, the leaders shot and its territory divided, nevertheless they kept revolting until its territory was a little fraction of what it was before. In the Ragamuffin War, the Rio Grande do Sul province was undergoing a (at that time common) liberal vs conservative "cold" war. After the Emperor favoured the conservatives, the liberals took the Capital and declared an independent Republic, fighting their way to the Santa Catarina, declaring the Juliana Republic. Eventually they were slowly forced back, and made a reunification peace with the Empire. The war was not a secession war, even if it could become if the Empire was defeated, after the Empire agreed to aid its economy by taxing Argentina's products (like dry meat), the rebels reunited with the Empire and even filled its ranks, as the rebels were very good fighters. Throughout Canada's history, there has been tension between English-speaking and French-speaking Canadians. Under the Constitutional Act of 1791, the Quebec colony (including parts of what is today Quebec, Ontario and Newfoundland and Labrador) was divided in two: Lower Canada (which retained French law and institutions and is now divided between the provinces of Quebec and Newfoundland and Labrador) and Upper Canada (a new colony intended to accommodate the many English-speaking settlers, including the United Empire Loyalists, and now part of Ontario). The intent was to provide each group with its own colony. In 1841, the two Canadas were merged into the Province of Canada. The union proved contentious, however, resulting in a legislative deadlock between English and French legislators. The difficulties of the union led to the adoption of a federal system in Canada, and the Canadian Confederation in 1867. The federal framework did not eliminate all tensions, however, leading to the Quebec sovereignty movement in the latter half of the 20th century. Other occasional secessionist movements have included anti-Confederation movements in 19th century Atlantic Canada (see Anti-Confederation Party), the North-West Rebellion of 1885, and various small separatism movements in Alberta particularly (see Alberta separatism) and Western Canada generally (see, for example, Western Canada Concept). 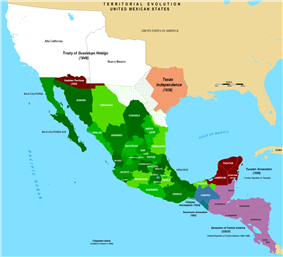 After the 1823 collapse of the Federal Republic of Central America. In 1838 Nicaragua seceded. The Federal Republic was formally dissolved in 1840, all but one of the states having seceded amidst general disorder. The Republic of China (ROC) government, which ruled mainland China from 1911 to 1949, administers Taiwan and a few surrounding islands, while the People's Republic of China (PRC) government administers mainland China. Both sides officially claim sovereignty over both mainland China and Taiwan. There is debate in Taiwan as to whether to create a new Republic of Taiwan to replace the current ROC government. At the Third session of the Tenth National People's Congress (March 14, 2005) the PRC government adopted the Anti-Secession Law of the People's Republic of China. See Taiwan independence. Within the PRC, the three northwestern regions of Xinjiang, Inner Mongolia, and Tibet, (and its accompanying regions) are also the focus of secessionist calls by the Tibetan Independence Movement and East Turkestan Islamic Movement. In 1960 the State of Katanga declared independence from the Democratic Republic of the Congo. United Nations troops crushed it in Operation Grand Slam. 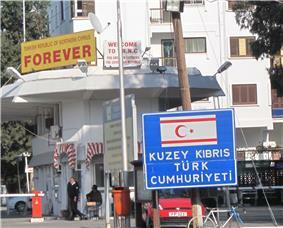 In 1974, the Turkish Army invaded northern Cyprus to protect the interests of the ethnic Turkish minority, who in the following year formed the Turkish Federative State of Cyprus and in 1983 declared independence as the Republic of Northern Cyprus, recognized only by Turkey. The Democratic Republic of Timor-Leste (also known as East Timor) has been described as having "seceded" from Indonesia. 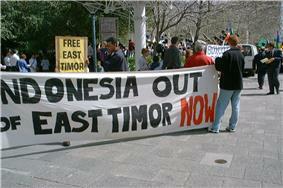 After Portuguese sovereignty was terminated in 1975, East Timor was occupied by Indonesia. However the United Nations and the International Court of Justice refused to recognize this incorporation. Therefore, the resulting civil war and eventual 2002 East Timorese vote for complete separation are better described as an independence movement. Following the 1993 victory of opposition forces against the communist Derg regime during the Ethiopian Civil War, Eritrea (formerly known as "Bahri Negash" before being renamed to "Eritrea" by Italian colonizers from 1890–1941) seceded in a United Nations referendum with the blessing of the newly formed Ethiopian government. Before the Treaty of Lisbon entered into force on 1 December 2009 no provision in the treaties or law of the European Union outlined the ability of a state to voluntarily withdraw from the EU. The European Constitution did propose such a provision and, after the failure to ratify the Treaty establishing a Constitution for Europe, that provision was then included in the Lisbon Treaty. The treaty introduces an exit clause for members who wish to withdraw from the Union. This formalises the procedure by stating that a member state may notify the European Council that it wishes to withdraw, upon which withdrawal negotiations begin; if no other agreement is reached the treaty ceases to apply to the withdrawing state two years after such notification. Finland successfully and peacefully seceded from the newly formed and weak Russian Soviet Federative Socialist Republic in 1917, the latter led by Lenin who had goodwill towards the Finns due to their having helped in his revolutionary struggle. Unsuccessful attempts at greater autonomy or peaceful secession had already been made during the preceding Russian Empire but had been denied by the Russian emperor. 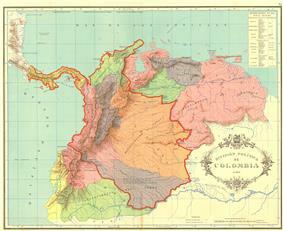 Map showing the shrinking territory of Gran Colombia from 1824 to 1890 (red line). Panama separated from Colombia in 1903. After a decade of tumultuous federalism, Ecuador and Venezuela seceded from Gran Colombia in 1830, leaving the similarly tumultuous United States of Colombia, now the Republic of Colombia which also lost Panama in 1903. Pakistan seceded from the British Indian empire in what is known as the Partition. Today, the Constitution of India does not allow Indian states to secede from the Union. The disputed territory of Indian-administered Kashmir has had a violent nationalist movement against Indian annexation mostly in the Valley of Kashmir since 1989, which continues and is supported by Pakistan. Other violent secessionist movements in Nagaland, Assam, Manipur, Punjab (known as the Khalistan movement), Mizoram and Tripura were also formerly active, while Tamil Nadu had a non-violent movement in the 1960s. While a violent Maoist Naxalite insurgency continues to rage across a wide-swath of eastern rural India, the movement is not considered a secessionist movement because the goal of the Maoists is to overthrow the government of India, although rebel commanders have occasionally called for a Communist republic to be carved out of swaths of India. The Pakistani Armed organizations is a participant in the Kashmir conflict and strives to establish the merger state of Jammu and Kashmir from secular India to Muslim Pakistan. The independence of Venetia or Veneto and the secession or reunification of South Tyrol with Austria. Also the island of Sardinia is home to a notable nationalist movement, still in activity. Active secession movements include: Iranian Azeri, Assyrian independence movement, Bakhtiary lurs movement in 1876, Iranian Kurdistan; Kurdistan Democratic Party of Iran (KDPI), Khūzestān Province Balochistan independence movement for free separated Balochistan, (Arab nationalist); Al-Ahwaz Arab People's Democratic Popular Front, Democratic Solidarity Party of Al-Ahwaz (See Politics of Khūzestān Province: Arab politics and separatism), and Balochistan People's Party (BPP) supporting Baloch Separatism. When racial and partisan strife erupted, Singapore was expelled from the Malaysian federation in 1965. Agitation for secession has since been sporadic on the culturally distinct large island of Borneo in the states of Sabah and Sarawak although these sentiments has been gaining momentum and supports in the past few years following the proliferation of social medias and failure of the central government to fulfill conditions of the Malaysia Agreement 1963. Texas seceded from Mexico in 1836 (see Texas Revolution), after animosity between the Mexican government and the American settlers of the Coahuila y Tejas State. It was later annexed by the United States in 1845. The Republic of the Rio Grande seceded from Mexico on January 17, 1840, it rejoined Mexico on November 6 the same year. After the federal system was abandoned by President Santa Anna, the Congress of Yucatán approved in 1840 a declaration of independence, establishing the Republic of Yucatán. The Republic rejoined Mexico in 1843. Secession movements have surfaced several times in the South Island of New Zealand. A Premier of New Zealand, Sir Julius Vogel, was amongst the first people to make this call, which was voted on by the Parliament of New Zealand as early as 1865. The desire for South Island independence was one of the main factors in moving the capital of New Zealand from Auckland to Wellington in the same year. The NZ South Island Party with a pro-South agenda, fielded only five candidates (4.2% of electoral seats) candidates in the 1999 General Election but only achieved 0.14% (2622 votes) of the general vote. The reality today is that although "South Islanders" are most proud of their geographic region, secession does not carry any real constituency; the party was not able to field any candidates in the 2008 election due to being unable to enlist 500 paying members, a requirement by the New Zealand Electoral commission. The party is treated more as a "joke" party than any real political force. A girl during the Nigerian Civil War of the late 1960s. 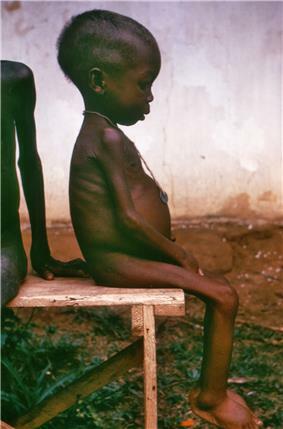 Pictures of the famine caused by Nigerian blockade garnered sympathy for the Biafrans worldwide. Between 1967 and 1970, the unrecognised state of Biafra (The Republic of Biafra) seceded from Nigeria, resulting in a civil war that ended with the state returning to Nigeria. Later in 1999 at the beginning of a new democratic regime, other secessionist movements emerged, the movement for the Actualization of a Sovereign state of Biafra was formed as a military wing of the Republic of Biafra. Sweden, having left the Kalmar Union with Denmark and Norway in the 16th century, entered into a loose personal union with Norway in 1814. Following a constitutional crisis, on June 7, 1905 the Norwegian Parliament declared that King Oscar II had failed to fulfill his constitutional duties. He was therefore no longer King of Norway and because the union depended on the two countries sharing a king, it was thus dissolved. After negotiations Sweden agreed to this on October 26 and on April 14. After the Balochistan free of Pakistani and Iranian Federations. The name Baloch Liberation Army first became public in summer 2000, after the organization claimed credit for a series of bomb attacks in markets and removal of railways lines. The island of Bougainville has made several efforts to secede from Papua New Guinea. The Constitution of the Soviet Union guaranteed all SSRs the right to secede from the Union. In practice however, the central government wouldn't allow an SSR to secede. In 1990, after free elections, the Lithuanian SSR declared independence and other SSRs soon followed. Despite the Soviet central-government's refusal to recognize the independence of the republics, the Soviet Union dissolved in 1991. In 1910, following the British Empire's defeat of the Afrikaner in the Boer Wars, four self-governing colonies in the south of Africa were merged into the Union of South Africa. The four regions were the Cape Colony, Orange Free State, Natal and Transvaal. Three other territories, High Commission Territories of Bechuanaland (now Botswana), Basutoland (now Lesotho) and Swaziland later became independent states in the 1960s. Following the election of the Nationalist government in 1948, some English-speaking whites in Natal advocated either secession or a loose federation. There were also calls for secession, with Natal and the eastern part of the Cape Province breaking away. following the referendum in 1960 on establishing a republic, and in 1993, prior to South Africa's first elections under universal suffrage and the end of apartheid, some Zulu leaders in KwaZulu-Natal considered secession as did some politicians in the Cape Province. In 2008, a political movement calling for the return to independence of the Cape resurged in the shape of the political organisation, the Cape Party. The Cape Party contested their first elections on 22 April 2009. 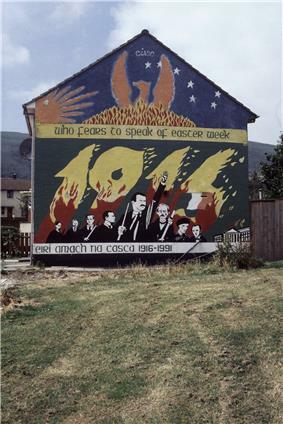 A republican mural in Belfast showing solidarity with the Basque nationalism. Spain (known officially as "the Kingdom of Spain") was assembled in the 15th and 16th centuries from various component kingdoms, having some component kingdoms lost their secession wars. Spain has several secessionist movements, the most notable being in Catalonia and in the Basque Country. The Liberation Tigers of Tamil Eelam, operated a de facto independent state for Tamils called Tamil Eelam in eastern and northern Sri Lanka until 2009. In 1847, seven disaffected Catholic cantons formed a separate alliance because of moves to change the cantons of Switzerland from a confederation to a more centralized government federation. This effort was crushed in the Sonderbund war and a new Swiss Federal Constitution was created. In March 2014, the governments of the Autonomous Republic of Crimea and the city of Sevastopol declared independence from Ukraine and asked to join the Russian Federation. The Donetsk People's Republic was declared to be independent from Ukraine on 7 April 2014, comprising the territory of the Donetsk Oblast. There have been military confrontations between the Ukrainian Army and the forces of the Donetsk People's Republic when the Ukrainian Government attempted to reassert control over the oblast. The Lugansk Parliamentary Republic was proclaimed on 27 April 2014. before being succeeded by the Lugansk People's Republic. The Lugansk forces have successfully occupied vital buildings in Lugansk since 8 April, and controlled the City Council, prosecutor's office, and police station since 27 April. The Government of the Lugansk Oblast announced its support for a referendum, and granted the governorship to independence leader Valeriy Bolotov. In Northern Ireland, Irish Republicans and Nationalists in general, have long called for the secession of Northern Ireland from the United Kingdom in order to join the Republic of Ireland. This is opposed by Unionists. In Scotland the Scottish National Party (SNP) campaigns for Scottish independence and direct Scottish membership of the European Union. It has representation at all levels of Scottish politics and forms the devolved Scottish Government. A number of nascent pro-independence parties have enjoyed only limited electoral success. The Scottish Green Party, the Scottish Socialist Party and the Scottish Enterprise Party are most widely publicised. However all independence movements/parties are opposed by Unionists. A referendum on independence, in which voters were asked "Should Scotland be an independent country? ", took place in September 2014, and resulted in a victory for the "no" campaign as 55.3 percent of voters voted against independence. In Wales, Plaid Cymru (Party of Wales) stands for Welsh independence within the European Union. It is also represented at all levels of Welsh politics and is the third largest party in the National Assembly of Wales. In Cornwall, supporters of Mebyon Kernow call for the creation of a Cornish Assembly and separation from England, giving the county significant self-government, whilst remaining within the United Kingdom as a fifth home nation. In England the now-disbanded Free England Party (FEP) campaigned for English independence. Parts of Southern England like Devon, the Isle of Wight, Minster in Kent, and Wessex, have autonomy movements. Some of the more radical members of the British direct democracy movement in the Conservative Party (Daniel Hannan for example) – while not actually advocating secession – support the federalization of the UK into states along county boundaries (actually a proposal of 5 or 6 regions of England, 4 or 5 in Scotland and 3 in Wales). There are currently 9 government office regions in England and none in the other Home Nations. Discussions and threats of secession often surface in American politics, and secession was declared during the Civil War between the States. However, in 1869 the United States Supreme Court ruled in Texas v. White, 74 U.S. 700 (1869) that unilateral secession was not permitted saying that the union between a state (Texas in the case before the bar) "was as complete, as perpetual, and as indissoluble as the union between the original States. There was no place for reconsideration or revocation, except through revolution or through consent of the States." North Yemen and South Yemen merged in 1990; tensions led to a 1994 southern secession which was crushed in a civil war. On June 25, 1991, Croatia and Slovenia seceded from the Socialist Federal Republic of Yugoslavia. Bosnia and Hercegovina and Macedonia also declared independence, after which the federation broke up, causing the separation of the remaining two countries Serbia and Montenegro. Several wars ensued between FR Yugoslavia and seceding entitites and among other ethnic groups in Slovenia, Croatia, Bosnia and Herzegovina, and later, Kosovo. Montenegro peacefully separated from its union with Serbia in 2006. Kosovo declared de facto independence on February 17, 2008, and was recognized by several dozen countries, but officially remains under United Nations administration. There is a strong tendency for secession of the Republic of Srpska from Bosnia and Herzegovina. ^ a b Allen Buchanan, "Secession", Stanford Encyclopedia of Philosophy, 2007. ^ Scott Boykin, "The Ethics of Secession", in David Gordon, Secession, State and Liberty, Transactions Publishers, 1998. ^ Allen Buchanan, Secession: The Morality of Political Divorce From Fort Sumter to Lithuania and Quebec, West View Press, 1991. ^ Robert W. McGee, Secession Reconsidered, the Journal of Libertarian Studies, Fall 1994. ^ David Gordon, Secession, State and Liberty, Transactions Publishers, 1998. ^ "Secession As an International Phenomenon", Abstracts of Papers, 2007 Association for Research on Ethnicity and Nationalism in the Americas conference sponsored by the University of South Carolina Richard Walker Institute for International Studies. ^ Allen Buchanan, How can We Construct a Political Theory of Secession?, paper presented October 5, 2006 to the International Studies Association. ^ Anthony H. Birch, "Another Liberal Theory of Secession". Political Studies 32, 1984, 596-602. ^ Walter Williams, Parting company is an option, WorldNetDaily.Com, December 24, 2003. ^ Jane Jacobs, Cities and the Wealth of Nations, Vintage, 1985. ^ Frances Kendall and Leon Louw, After Apartheid: The Solution for South Africa, Institute for Contemporary Studies, 1987. One of several popular books they wrote about canton-based constitutional alternatives that include an explicit right to secession. ^ Human Scale, Coward, McCann & Geoghegan, 1980. ^ a b Aleksandar Pavkovic, Secession, Majority Rule and Equal Rights: a Few Questions, Macquarie University Law Journal, 2003. ^ Steven Yates, "When Is Political Divorce Justified" in David Gordon, 1998. ^ Allen Buchanan, Secession: The Morality of Political Divorce From Fort Sumter to Lithuania and Quebec, Chapter 3, pp. 87-123. ^ Santosh C. Saha, Perspectives on contemporary ethnic conflict, p. 63, Lexington Books, 2006 ISBN 0-7391-1085-3. ^ Paul D. Elliot, The East Timor Dispute, The International and Comparative Law Quarterly, Vol. 27, No. 1 (Jan., 1978). ^ The Transitional Federal Charter of the Somali Republic: "The Somali Republic shall have the following boundaries. (a) North; Gulf of Aden. (b) North West; Djibouti. (c) West; Ethiopia. (d) South south-west; Kenya. (e) East; Indian Ocean." ^ Party Wants the Cape to Secede", Business Day, December 24, 1993. ^ A Brief Survey of Swiss History, Switzerland Federal Department of Foreign Affairs. ^ Texas v. White, 74 U.S. 700 (1868) at Cornell University Law School Supreme Court collection. ^ Aleksandar Pavković, Peter Radan, Creating New States: Theory and Practice of Secession, p. 222, Ashgate Publishing, Ltd., 2007. Buchanan, Allen, Justice, Legitimacy, and Self-Determination: Moral Foundations for International Law (Oxford Political Theory), Oxford University Press, 2007. Buchanan, Allen, Secession: The Morality Of Political Divorce From Fort Sumter To Lithuania And Quebec, Westview Press, 1991. Dos Santos, Anne Noronha, Military Intervention and Secession in South Asia: The Cases of Bangladesh, Sri Lanka, Kashmir, and Punjab (Psi Reports), Praeger Security International, 2007. Gordon, David, Secession, State and Liberty, Transactions Publishers, 1998. Hannum, Hurst, Autonomy, Sovereignty, and Self-Determination: The Accommodation of Conflicting Rights, University of Pennsylvania Press, 1996. Hawes, Robert F., One Nation, Indivisible? A Study of Secession and the Constitution, Fultus Corporation, 2006. Jovanovic, Miodrag, Constitutionalizing Secession in Federalized States: A Procedural Approach, Ashgate Publishing, 2006. Kohen, Marcelo G. (ed. ), Secession: International Law Perspectives, Cambridge University Press, 2006. Kohr, Leopold, The Breakdown of Nations, Routledge & K. Paul, 1957. Lehning, Percy, Theories of Secession, Routledge, 1998. Norman, Wayne, Negotiating Nationalism: Nation-Building, Federalism, and Secession in the Multinational State, Oxford University Press, USA, 2006. Pascalev, Mario, "Territory: An Account of the Territorial Authority of States." Dissertation, Bowling Green State University, VDM, 2009. Sorens, Jason, Secessionism: Identity, Interest, and Strategy, McGill-Queen's University Press, 2012. Spencer, Metta, Separatism: Democracy and Disintegration, Rowman & Littlefield, 1998. Weller, Marc, Autonomy, Self Governance and Conflict Resolution (Kindle Edition), Taylor & Francis, 2007. Wellman, Christopher Heath, A Theory of Secession, Cambridge University Press, 2005..
Secession And International Law: Conflict Avoidance-regional Appraisals, United Nations Publications, 2006. Christopher Ketcham, Most Likely to Secede, Good Magazine, January 2008. Michael Hirsch, How the South Won (This) Civil War, Newsweek, April 2008, article speculating on northern secession. "Secession As an International Phenomenon". Abstracts of Papers, 2007 Association for Research on Ethnicity and Nationalism in the Americas conference sponsored by the University of South Carolina Richard Walker Institute for International Studies. Andrei Kreptul, The Constitutional Right of Secession in Political Theory and History, Journal of Libertarian Studies, Ludwig von Mises Institute, Volume 17, no. 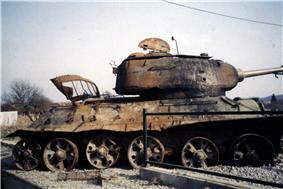 4 (Fall 2003), pp. 39–100.